The Embraer ERJ 145 family is a series of twin-engine regional jets produced by the Brazilian aerospace company Embraer. 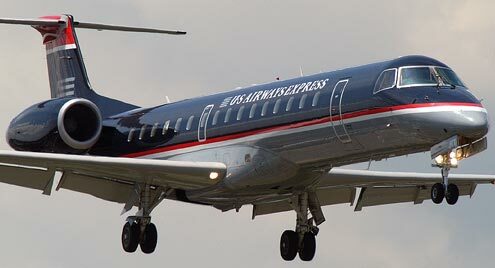 Family members include the ERJ 135 (37 passengers), ERJ 140 (44 passengers), and ERJ 145 (50 passengers), as well as the Legacy business jet and the R-99 family of military aircraft. The ERJ 145 is the largest of the group. Each jet in the series is powered by two turbofan engines.